During a congressional hearing on Thursday, assistant secretary of state for economic and business affairs Manisha Singh told lawmakers that the US was prepared to take 'strongest action' against countries that did not cut oil imports from Iran to 'zero' by November. 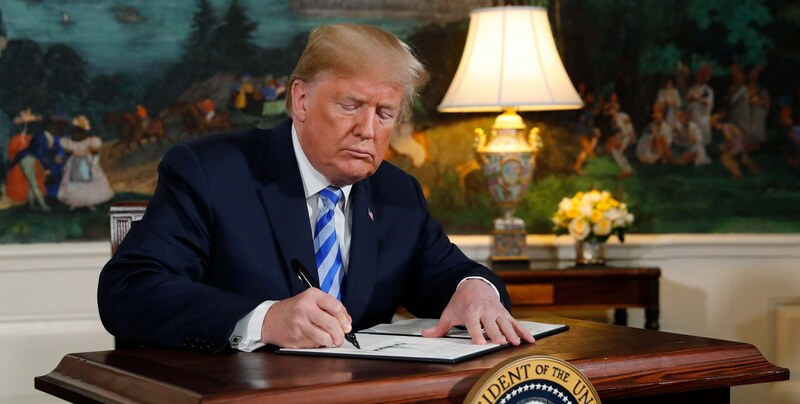 Washington: The United States is prepared to take “strongest action” against countries and entities who are found not complying with the Iranian sanctions, including reducing to zero the purchase of crude oil from Iran, a top Trump Administration official told lawmakers. “We are prepared to take the strongest actions possible on people who will not assist us in complying with this new range of sanctions that we are putting back into place,” Indian-American Manisha Singh, assistant secretary of state for economic and business affairs, told lawmakers during a congressional hearing on Thursday. Responding to a question from congressman Eliot Engel, Singh said the Trump Administration has been talking to all its allies and partners and trying to convince them to fully implement the new Iranian sanctions which the US has imposed following its withdrawal from the Iranian nuclear deal. Iran is India’s third-largest oil supplier behind Iraq and Saudi Arabia. Iran supplied 18.4 million tonnes of crude oil during April 2017 and January 2018 (first 10 months of 2017-18 fiscal). “If any of the major buyers of Iranian crude, which is China, India, Japan, South Korea, and Europe, if they refuse to sharply cut their purchases, are we really prepared to cut their banks off from the global banking system, which is the penalty under the US sanctions? Are we really prepared for that?” Engel asked. “In response, we are prepared to take the most serious actions possible on Iran. We need to demonstrate to the Iranian regime that we will not tolerate its development of a nuclear program for illicit purposes,” Singh said. The flawed Iran nuclear deal was determined not to be the right vehicle to address the range of Iran’s malign behaviour, she said. “We are having conversations with our allies, and our goal is to get the purchase of Iranian crude oil down to zero by November 5. That’s a critical goal for us,” Singh said in response to question from congressman Engel. “We are talking with all of our allies, including the countries that you mentioned, helping them to understand that the only way that we can achieve this global goal of Iran’s nuclear program not commencing is through partnership and cooperation with our allies as you have indicated,” she said. “We are trying to explain to them that the bigger picture here is we need to work together on putting this pressure on Iran, and the sales of oil are a critical way to do that. We are prepared to take the strongest actions possible on people who will not assist us in complying with this new range of sanctions that we are putting back into place,” Singh said. Secretary of state Mike Pompeo and treasury secretary Steven Mnuchin have directed teams from the State Department and Treasury Department to travel together, she said, adding that the team has visited over 30 countries so far and talked through with them regarding US’ withdrawal from the Iran deal. “We’re trying to help them understand what it means for them. We are trying to engage in all kinds of diplomatic conversations to make sure that our allies don’t feel like we are going it alone. We are explaining to them that we need to work as a global community to address Iran’s range of malign behaviour,” Singh said. “China is Iran’s top, top oil purchaser. Will they get to zero by November?” Engel followed up with another question. “We are working will all countries, including China, to get them to zero. We’ve made it clear that unless we act as a global community, Iran’s behaviour is not going to change,” Singh said. The Iran nuclear deal “was not going to change Iran’s behaviour. We have a new strategy, a new list of behaviours that we are going to insist that they take, and we need cooperation from the global community in order to achieve this goal,” she said.